What's The Best Web Hosting Company For Your Business? What’s The Best Web Hosting Company For Your Business? Home Podcast What’s The Best Web Hosting Company For Your Business? How do you choose the best web hosting company for your business? With literally thousands of web hosts to choose from, what are the key criteria you should use when comparing providers? 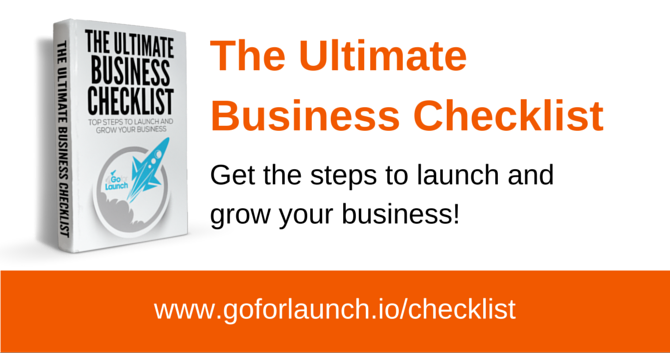 In this episode of the Go For Launch podcast, I talk about four key criteria to use when selecting a web host. You may recall I cofounded and ran a web development firm for many years and have launched countless websites since the mid-1990s. I’ve had my share of experience with web hosting companies, ranging from the super-cheap to highly expensive custom solutions. With that in mind, here are my four top hosting considerations. For most entrepreneurs—whether you are just starting out or have been in business awhile—cost is always near the top of the list, for web hosting or any other expense. That’s fair enough—because you don’t want to pay more than is necessary to get what you need. The good news is, there are plenty of inexpensive web hosts to choose from. The bad news is, there are plenty of cheap hosts to choose from…and there is a difference between inexpensive and cheap. It can be hard to tell the difference without first hand experience. Fortunately, I’ve tried a bunch of cheap hosts so I can give you some guidance. Here’s the deal. When you get the cheapest hosting plan(s), it generally means you are paying for shared hosting. With shared hosting, your website will get stored on a server along with hundreds or possibly thousands of other sites. That is not necessarily a bad thing—depending on the hosting company. However, not all shared hosting plans are the same. Personally, I now avoid gigantic hosting companies (the kind that advertise during the Super Bowl, for example). I’ve found my sites just go down too often to make them worth their rock-bottom prices. Unless you are launching a company and anticipating massive traffic, shared hosting should be find to start with. You can always explore dedicated hosting plans later. When you pay for hosting, you pretty much want one thing—for your website to be online 24x7x365. It’s like the expectations you have for your local power company—and you know you hate it when your lights and refrigerator go out, even for a few minutes. But it can cause even more heartburn with your website, because it’s your livelihood! I get a terrible feeling anytime my sites go down for any reason. BTW, even at 99.9%, that still equates to nearly nine hours of downtime per year. The more “nines” you feel you need, the more complex and costly the hosting solution will be. However, for most people 99.9% is about the most acceptable standard. Great hosting companies pride themselves on avoiding down-time, which means you will likely never see them push the envelope to 43 minutes of downtime a month. If that were to happen, it would definitely be a red flag to start looking for a new provider or a better plan. This sort of goes without saying, but you’d expect your site to be “safe” with your web host. Yet one caveat is that hacking is a fact of life, and hackers do target web hosting companies every single day. And sadly WordPress is an especially vulnerable target because it is so ubiquitous. That’s one of the biggest reasons we went with WP Engine as the host for Go For Launch website. They are a bit more pricey, even at the lowest level ($29/month level). However, we chose them due to their 100% focus on WordPress and in particular their security measures to protect sites, including a guarantee to restore any compromised sites at no extra charge. Learn more in a free white paper they sent me called Flexible Development On Your Terms: Securely, Confidently Develop WordPress Sites With WP Engine. If you do go with an inexpensive host without much security as part of your plan, check out Sucuri as an extremely reliable additional service to protect your website. Just like with the promise of nearly flawless uptime, you should expect lightning fast support with your web host. You should be able to get a live, breathing human being on the phone within two minutes or less. And you should expect a response to any online support requests quickly (I’d say in less than an hour). Don’t hold your breath for this level of support with “cheap” web hosts. 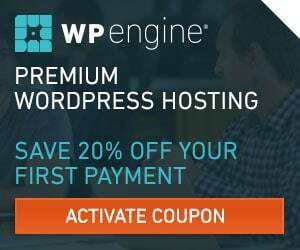 I mentioned WP Engine as a preference for higher-end WordPress hosting. However, for virtually all other web site hosting needs, including my personal site (BrandonUttley.com), I strongly recommend SiteGround. They are much cheaper, with plans starting at just $3.95 a month. They rank #1 in many surveys of top web hosts. I had the pleasure of meeting some of the representatives at Social Media Marketing World in San Diego in March 2015, and I was sold after learning more about their offerings. I switched several sites over to them from a cheap web host I had been using before. Their customer service is outstanding compared to many other companies I’ve been with over the years. 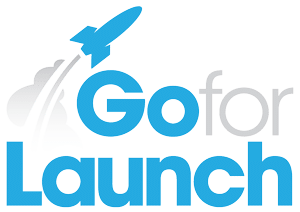 In full disclosure, Go For Launch is proud to be an affiliate partner with both WP Engine and SiteGround. If you choose either company through our links, we will make a small referral fee; however, this will not add to what you pay for their services. Thank you for your support of Go For Launch in this way. If you want to do some further digging around to compare top website hosts, here are some of our favorite resources to find out what other sites are using for their hosting. WP Engine is a premium web host for WordPress websites.